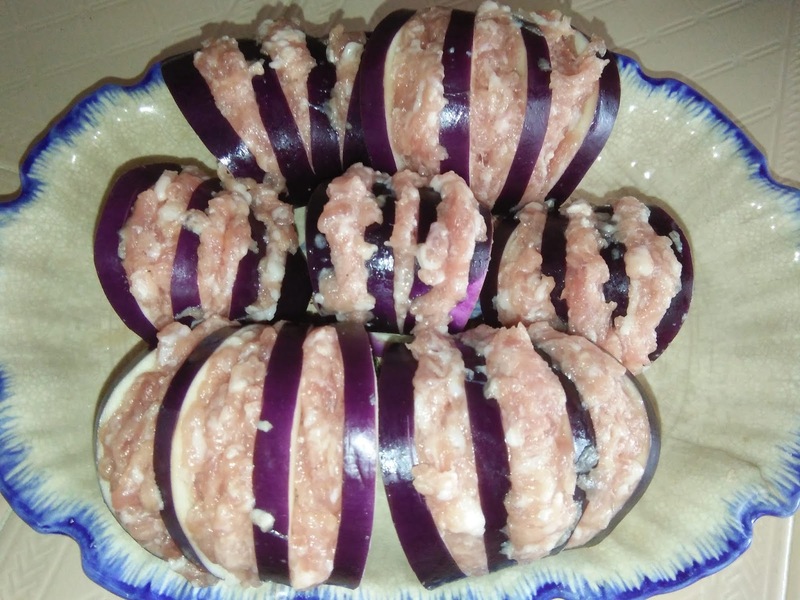 Came across this lovely steamed brinjal dish on You-tube. I love the sweetness of brinjals but never like the greasiness of fried brinjals. 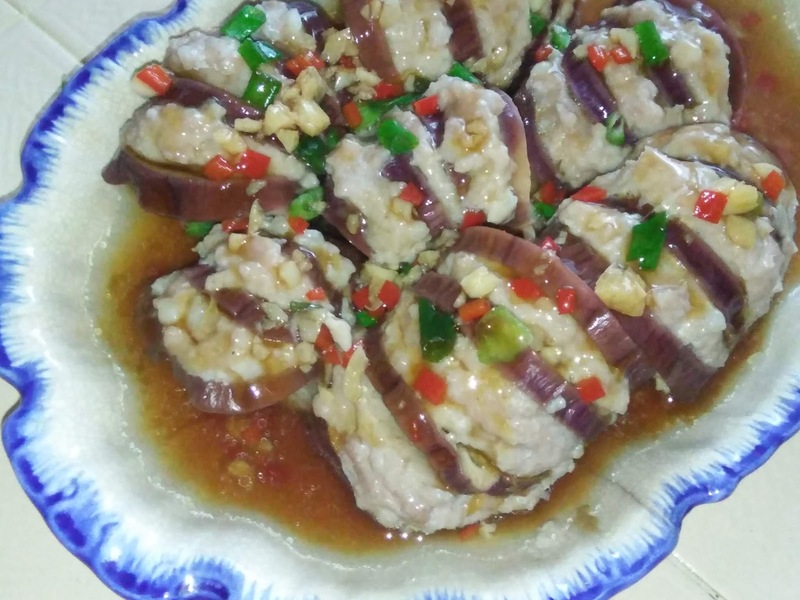 These steamed brinjals stuffed with the tasty minced meat and simple sauce is great. 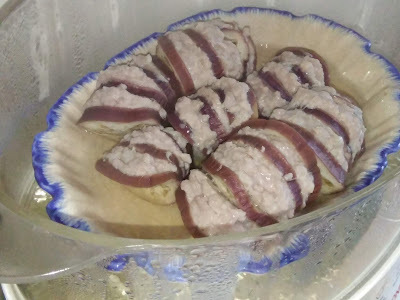 Moreover, it is not difficult to prepare at all. You can stuffed the brinjals in advance and just need to steam them for 15-20 minutes before serving them. No greasy kitchen and or sweating in the kitchen. Make 4 slits [without cutting through to the base] on each section of the brinjals. 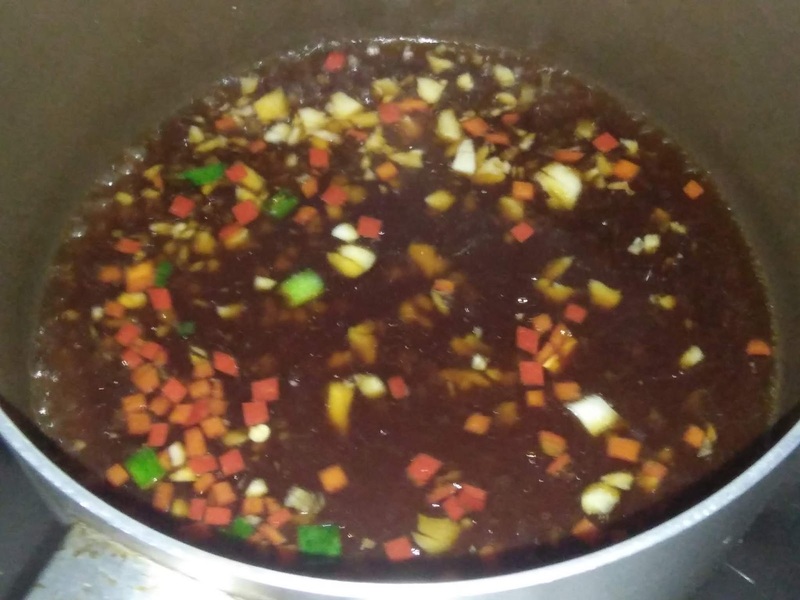 Mix filling ingredients well and set aside. Stuff the brinjal pieces with the minced meat place and place on a steaming plate. 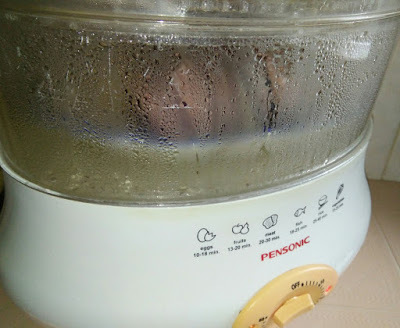 Steam over high heat for 15-20 minutes. There may be some water released from the steamed brinjals. You may discard the water. 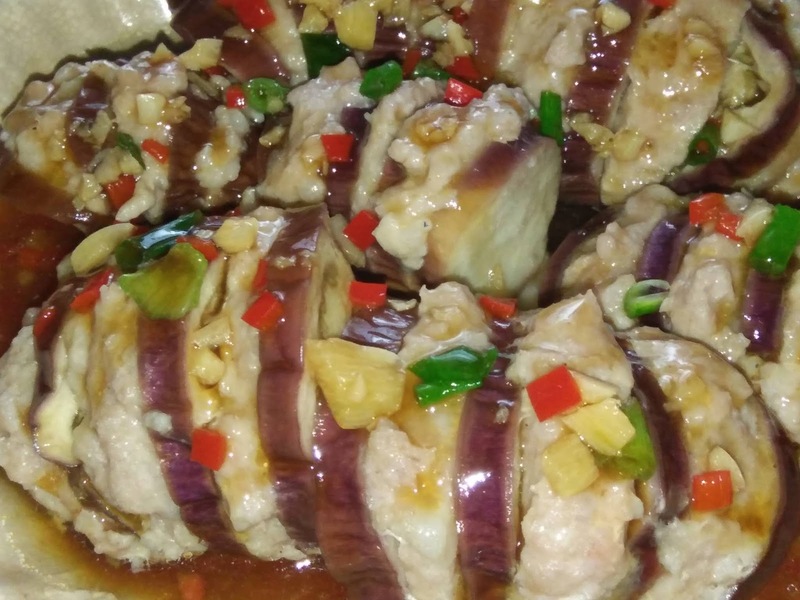 Sprinkle chopped spring onions over the steamed brinjal. 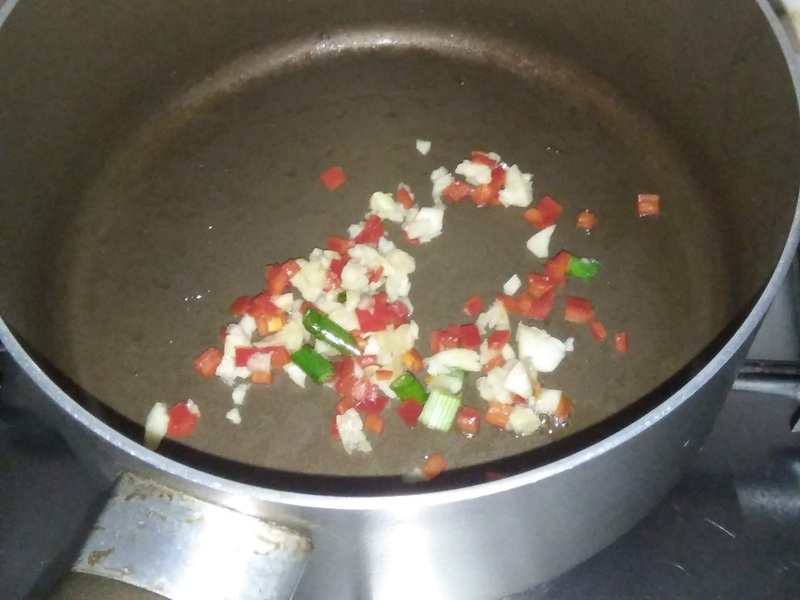 Meanwhile, put some oil in a pan, saute garlic and red chilli until aromatic, pour in the mixed sauce. Stir well until thick consistency. Pour over steamed brinjals, serve. Kimmy, this dish looks quite easy to cook. 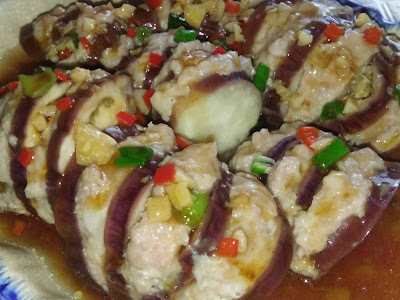 I happen to love brinjals, so I will bookmark this recipe to try. 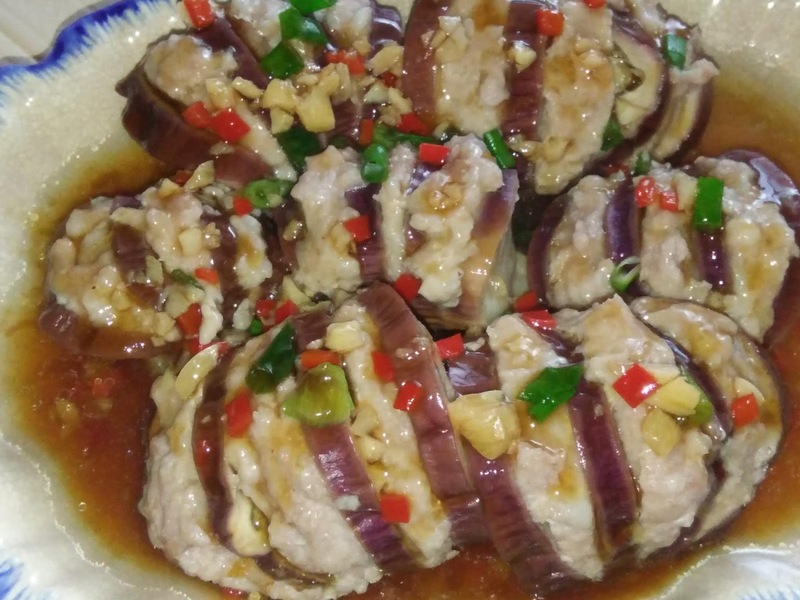 Hi Phong Hong, this is a lovely variation to cook brinjals. My friend tried the deep fried method. It was lovely but more 'sinful'. You are welcome to try both, hehehe!